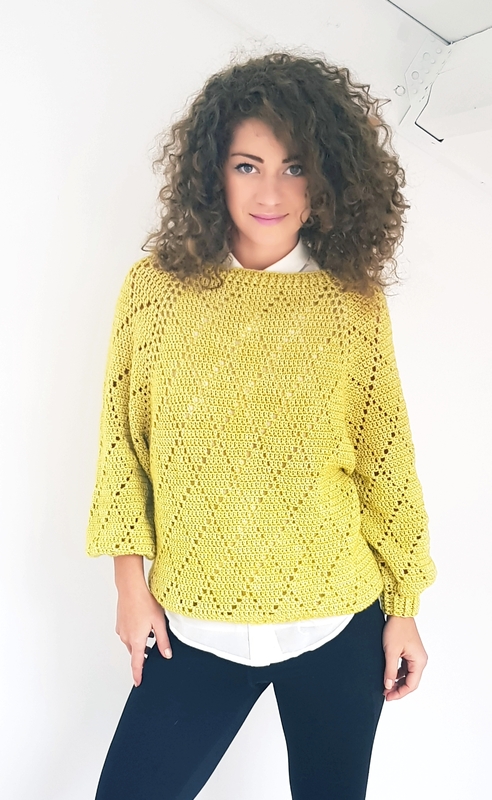 With this post we are continuing the most viewed patterns series and March 2019 most viewed pattern is again My precious sweater. No wonder since this pattern became so popular and I have seen so many gorgeous version of it, even more beautiful then the original. You can download only today the free pdf from Ravelry or from My shop. The idea of this sweater came from no where. I had the yarn for long time ago before even thinking that will end up in a gorgeous sweater. Some day I saw a similar sweater in a shop and I said to myself :Ok, this is beautiful and I can do it in crochet”. So I came back home, grab some yarn and started. Everything worked so well that I was super excited with the sweater after just a few rounds. After posting the picture on Instagram and saw all your reactions I new that will be a great project. My Precious Sweater pattern is not that hard to make even if it’s looking like so. Ones you get the idea of the pattern is easy to follow and you don’t want to let it down. 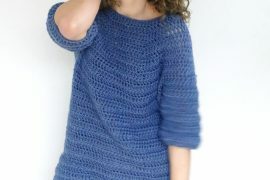 It’s a top-down sweater made with the Raglan technique. We are starting from the neck, making first the yoke and then we will separate the sleeves from the body of the sweater and work the 3 parts individually. The sweater is designed over – sized so if you want a closer fit you will have to size down. The pattern is available for sizes from S to 2X large and is written in US terms. In the pattern you will find a stitch chart, measurement diagram and all the details to help you make it. Let’s see now some Q&A’s. Maybe you will get the answers on some concerns you have after you first saw the pattern. Q: Why my stitches are off even if I’m following the pattern exactly? A: Well this thing happens even if you are more experimented in this field and you don’t have to give up. When I was working at this pattern I was thinking how to make the Diamonds stitch to work in a yoke. So, I count the sts that I need for each side of the yoke (back, front, sleeves) and I saw this parts as individual. So this is what you should do too. 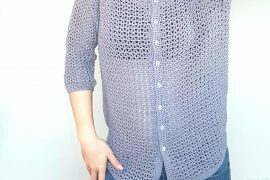 Follow the stitch pattern on each side without thinking at the sweater as a hole project. Just think that each side is small project and you have to make the diamond stitch with the given stitches. Q: Why the sleeves are so large? I don’t like them like this. A: Well like I said the sweater is designed over – sized. To have it like this I made a longer yoke and off course that after working more rounds on yoke the sleeves become larger as well. AS a solution you can make less rounds on the yoke. Also you can start with less sts for sleeve, but you will have to take into consideration that the pattern requires multiple of 10 + 1 sts. Q: Why if I want to make the sweater in Large size the stitches are not matching? A: If you want to make the sweater in a larger size like Large, 1X large or 2X Large, you will have to start the sweater with round 2 (for Large and 1X Large) and with round 3 for 2X large. Instead of starting with sets of 9 dc +1 window you will have to start with sets of 7 dc and 2 windows and sets of 5 dc, 1 window, 3 dc, 1 window. Q: How can I make the sweater larger without making the sleeves larger too? When working the working with the raglan technique, increasing in the corners, we are increasing the number of stitches for the body and for the sleeves as well. If you want to make the body larger, but keeping the sleeves as they are in the pattern, you can adjust the number of stitches for back and front side. One method is to start with more stitches for these sides. For example for size S the pattern had 31 sts for back and front meaning 3 diamond motifs. You can start with 4 diamonds, meaning 41 sts. Another method is to add on the back and front more sts, but only for the windows. We are making the windows by ch 1, skip 1, one dc in next and you can add one more st and making the windows with ch 2, skip 2, 1 dc in next. For example for size S, we have on the first round 4 windows. If we making them with 2 sts, this means that we will have with 4 sts more. So we will have to start with 35 sts instead of 31. This will make the body larger and without increasing the sleeves as well. 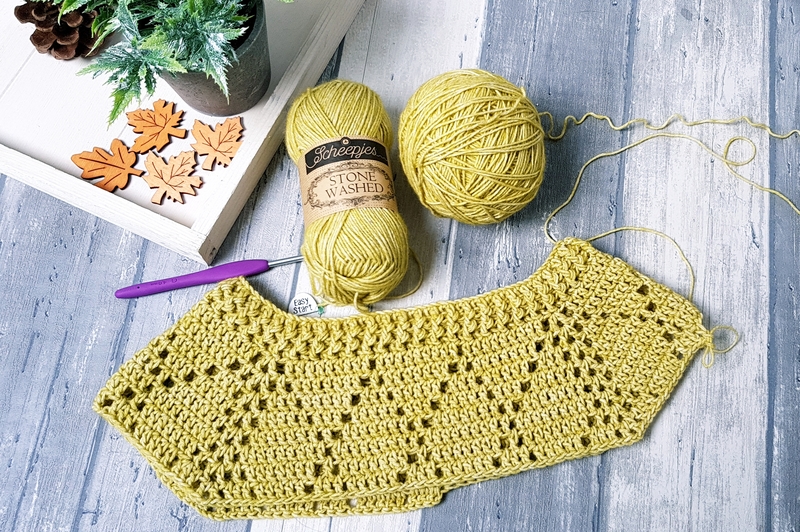 And these ware the questions that I received since the pattern was live and I hope with the answers I clarified some aspects of this pattern, but if you have some more I will happily will help you as fast as I can. Now if you want the pdf version of this pattern, you can find it on Ravelry or My shop. It’s listed for free and no code is needed. The offer will be available until April 1, 10 AM CET. 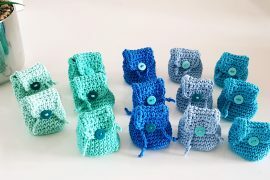 The pdf pattern is available in English and Dutch. Below you will find a video tutorial which I hope it will give you some extra help if needed. Neither one of these patterns on Ravelry or Your Shop are free. You still need a code and this is supposed to be good until April 10 and I can’t get it today as you have posted.